At the same time, the fledgling Philadelphia Mint was preparing to manufacture a new denomination , the quarter dollar, authorized by the Mint Act of 1792. It would eventually be recognized and accepted throughout the world. It is difficult to imagine today how seriously coinage was regarded two hundred years ago. Officials understood that once coins left the mint, they would become metallic emissaries of the new nation. This is why so much attention was given to gold and silver coins weighing exactly what they were supposed to weigh, no more and no less. Most educated people of the day understood that a poorly designed coin would reflect badly on their country, just as a handsomely designed coin of proper weight and fineness would be respected worldwide. The design of the 1796 Draped Bust quarter had its genesis in the almost universal dislike for the previous coin designs. 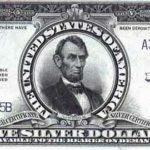 Earlier copper coinage, such as the Chain cent and Wreath cent had not been well received by the public, and the Flowing Hair design of the silver coins was widely criticized. To avoid such public embarrassment with the new design, Mint Director Henry DeSaussure engaged renowned portraitist Gilbert Stuart, who used as his model the prominent Philadelphia socialite Mrs. William Bingham (nee Ann Willing). 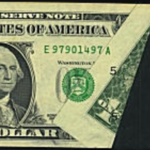 The likeness of the buxom Mrs. Bingham was first applied to the Draped Bust dollar issued late in 1795. But all did not go well in transferring Mrs. Bingham’s likeness into coined form. The rather bland portrait that ended up on the quarters of 1796 did not resemble the beautiful model that Stuart sketched. In fact, Stuart was so disappointed with the results that his name was forgotten for almost a hundred years in connection with the coins, until 1887, when an article in the American Journal of Numismatics was published, aquainting collectors with this fact. The failure of transferring Stuart’s sketch into coinage can be laid at the feet of one Robert Scot. Scot was a banknote plate artist who the Mint hired as an engraver. It was later found out he could neither sink a die nor make a device punch. Given Scot’s incompetency as well as that of his assistant, John Eckstein, it is a wonder the coins turned as well as they did. 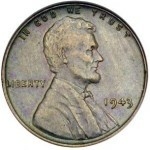 The obverse design features the portrait, encircled by 15 stars, with the inscription LIBERTY above the head and the date below. The reverse depicts a small eagle on cloud-shaped cushions, within a wreath of olive and palm branches. The inscription UNITED STATES OF AMERICA encircles the wreath. Only 6,146 of the new quarters were struck in 1796. There are only two varieties known, one with a low 6 in the date and the other with a high 6, the Low 6 variety being much the rarer of the two. Collectors generally want only one coin for a type set, and herein lies the enduring popularity of the 1796 quarter. While it is not a particularly rare coin for the era, anyone who attempts to complete a type set of United States coins must have a 1796 quarter, as this design was made in only this one year. The next design type (not coined until 1804) retained the draped bust design on the obverse but replaced the small eagle of 1796 with the heraldic eagle that was then current on the other silver coins of the day. The 1796 quarter is one of the few United States coins whose value is greater than its population would indicate. Decades of publicity and the need for the `96 quarter for type sets has kept its price high relative to other series and individual rarities. Its reputation and value has even inspired counterfeiting. Very convincing counterfeits surfaced at the 1982 A.N.A. convention in Boston. These are cast copies of the rare Low 6 variety. 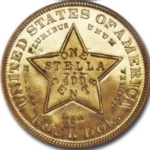 They are copied from a low grade genuine coin, but all show the same field marks in front of the face, a nick just left of the 12th star, a nick above ER in AMERICA and another on the final A in AMERICA. When grading a 1796 quarter, look for wear on the obverse on the highest points of the hair above the forehead, followed by the shoulder and bust line. On the reverse, friction is first seen on the breast of the eagle and next at the top edges of the wings. But even on the finest specimens, head detail is likely to be flat on the eagle. This is not due to die wear, but rather design opposition, caused by the eagle’s head being directly opposite the shoulder of Liberty on the obverse. 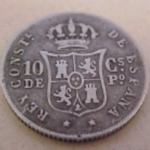 Adjustment marks are also common on these early silver coins. These were created by filing the planchets prior to striking to reduce the weight of the coined product. In this rather crude way, the Mint made sure that each gold or silver coin had exactly the amount of precious metal stipulated by law. The 1796 quarter dollar was created with great care and considerable effort, and while the coins that were produced fell short of some people’s expectations, the one year type coin has attained a popularity with a broad base of collectors that few other United States coins can equal.